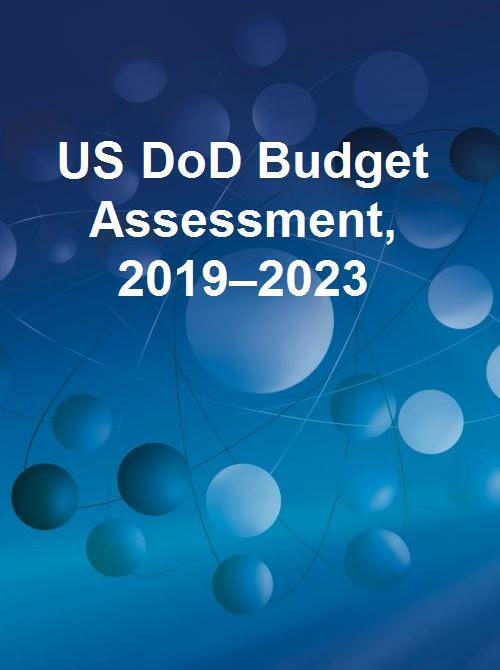 The second budget under the Trump administration, which includes the fiscal year 2019 Department of Defense (DoD) budget request highlighted in this research, has been published. The DoD request for 2019 is notably higher than that of 2018 and may encounter opposition from both sides of the political aisle. This research details the defense departments and agencies that offer the best opportunities for companies trying to enter the US defense market. The research includes market drivers and restraints that shed light on some budget numbers and the importance being placed on certain projects and programs. The research assists in understanding the government’s focus and the services it will likely require in future. This research service examines President Trump’s DoD budget request for 2019. It will highlight some of the programs that offer the best opportunities for growth and penetration into the DoD market. Cited funding data reflects only those funds assigned for discretionary spending and does not include mandatory fees. Years in this document refer to government fiscal years for the budget and calendar years for contracts and competitive data. This research service focuses on the US Department of Defense (DoD) budget spending categories, including research, development, testing, and evaluation (RDT&E); procurement; operations and maintenance (O&M); and services. The intent of this study is to indicate which segments of products and services the DoD has emphasized in the budget request so that firms can invest in these priority areas. Contract activity for the US DoD for 2017 is also included. The 2019 budget is comprised of spending plans for the Army, Navy/Marine Corps, Air Force, and Joint Service. The base year for financial spending is 2017, and the market forecast is from 2017 to 2023. Market share and competitive analysis for this research is based on government contract obligations distributed in 2017. Over 50,000 companies received contracts from the DoD during 2017; therefore, a list of “other” companies is not included with this research. The competitive analysis portion of this research focuses on the overall top ten companies for DoD, and it highlights the top 5. The budget request is subject to variances and changes until Congress actually passes the bill enacting the budget. Several DoD agencies will not be reviewed in detail because most of their discretionary spending is dedicated to salaries and operating expenses. Any significant findings associated with the agencies not fully reviewed will be discussed under the key findings portion of the research. Is the US DoD market growing? How long will it continue to grow and at what rate? What segments, technologies, and services make up the market? What are the leading market drivers and restraints? What are the top programs for the 2019 defense market? Which market segments will have spending growth? Which companies are leading the US DoD market?